Inspire a budding green artist with a new set of colored pencils. 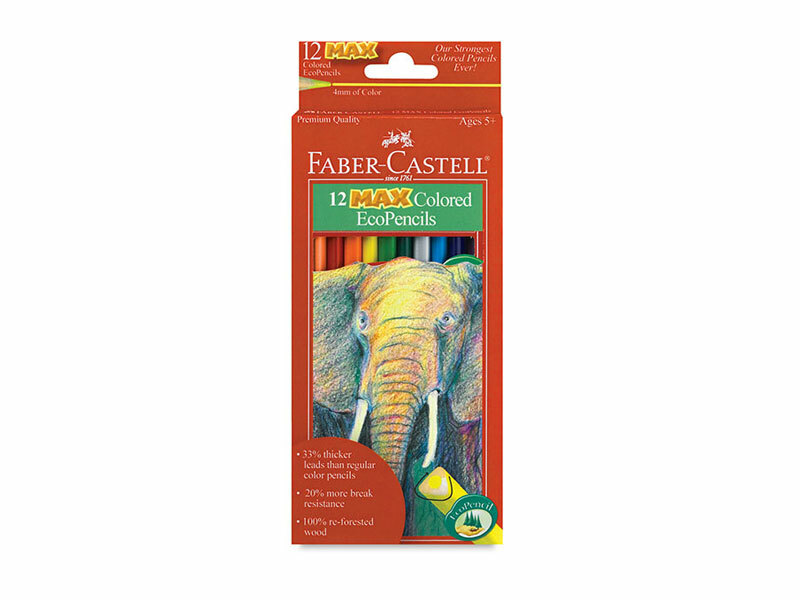 Faber-Castell’s new MAX Colored EcoPencils are made from reforested wood and built to be more break-resistant than regular colored pencils, which means this box will last longer than average. The colored leads are 33 percent thicker and glued in the barrel so they won’t fall out. We also like that the pencils have a triangular shape, which makes them easier for novice artists to hold. Inspire a budding green artist with a new set of colored pencils. Faber-Castell's new MAX Colored EcoPencils are made from reforested wood and built to be more break-resistant than regular colored pencils, which means this box will last longer than average. The colored leads are 33 percent thicker and glued in the barrel so they won't fall out. We also like that the pencils have a triangular shape, which makes them easier for novice artists to hold.